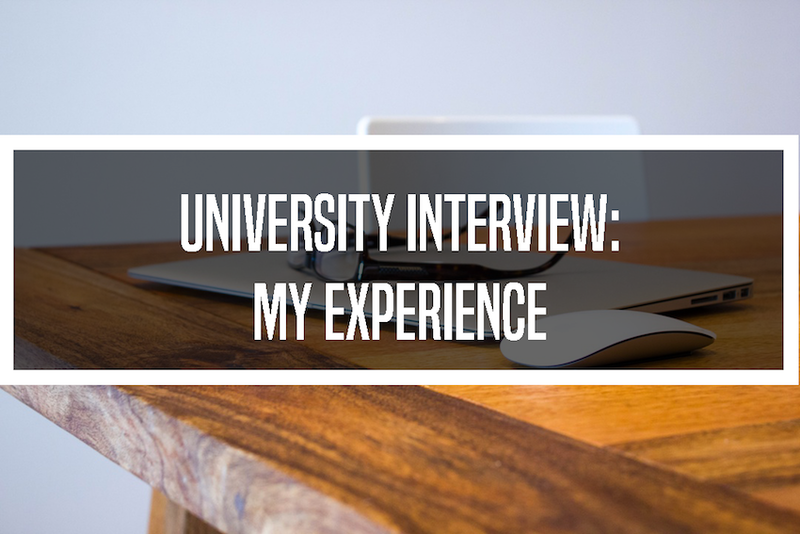 WINGING MY UNIVERISTY INTERVIEW || MY EXPERIENCE | RAWR BOWS. Two years ago today I had just sent all my UCAS applications and was anxious to hear back from my chosen universities. In all honesty, I didn't have high expectations. Having gone to a public Spanish high school, I thought that top universities from the UK wouldn't even consider me but you never know if you don't try. Turns out, I got offers from all of them (go me). However, to get the offer from my first choice, I had to fly to London to be interviewed. Needless to say, when I found out, I freaked out a bit. I had never been interviewed in my life before, let alone being interviewed about chemistry in English - bear in mind that back then, even though I could speak English, I had no idea how to talk about chemistry in English. Not only that, but I happened to have my interview on a week I had 4 exams, two of which I had to re-schedule so that I could attend my interview. As you can see, the conditions were far from ideal. I remember being quite chilled the day of the interview, mainly because I didn't really know how important it was. I read over some of my chemistry notes the day before and made sure to learn some of the elements and main chemical compounds names in English - even though I failed miserably when I had to say hydrochloric acid, instead I said chloridric acid (which doesn't even exist). Other than that, though, I didn't really do anything in preparation for it - something I deeply regretted after. I was interviewed by a woman and a man who, to my surprise, were quite nice and friendly. Something quite funny happened though: the man's stomach wouldn't stop rumbling. It was so hard to control myself and not burst out laughing. Most of the questions were about things I hadn't done in school before, but they kind of guided me and helped me get to the answer. I've heard that the actual aim of those interviews is to see how you think and how you deal with something you've never seen before. I'm not sure if that was the case for me or if I just hadn't covered that stuff due to the different education system we have in Spain. Either way, the interviewers were really helpful and didn't make me feel too nervous. Despite the fact I was told most people who get an interview get an offer, when I left the interview room I remember thinking 'there's no way I get a place'. I was so underprepared compared to everyone else. I felt a bit bad because it was my fault for not taking it more seriously. Fast forward one or two weeks and I get an e-mail from UCAS saying there's been an update in my application. I got a conditional offer, I think I almost cried. Never in a million years I would have thought I would be accepted, it was literally my childhood dream come true (yes, my childhood dream was to go to a top university. I was a weird child okay?). I know some of you may be going to university next year and might be having interviews really soon. I decided to write this post in an attempt to let you know that a) Not knowing all the answers doesn't mean anything and b) it doesn't matter how bad you think your interview's gone, there's always hope. If you're applying to university, I wish you all the luck! !